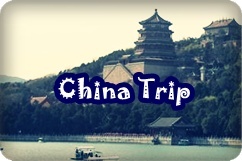 This is our last day in China and we spent it in Tianjin. The night was spent at the Zhengda Hotel and we all had to check out as early as 8:00 am. Why? Because there were two more places to visit before going to the airport. My comment on the Zhengda Hotel? Clean, spacious, much, way much better than the HuiDu hotel back in Beijing, but the the toilet in our room had some problems flushing. LOL. 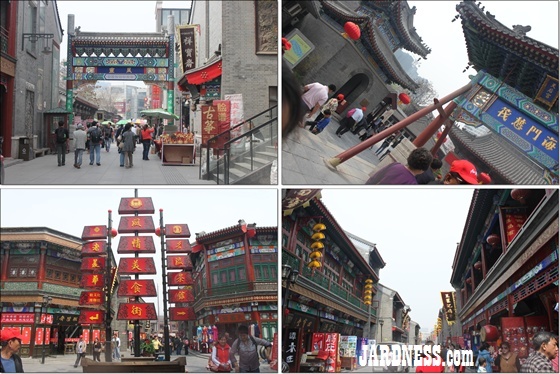 First stop of the day was the Ancient Cultural Street of Tianjin. There were a lot of colorful buildings there and sellers of all kinds of merchandise. I was almost tempted to buy the leather wallets there that costs about RMB 35. But didn't, sigh. I didn't get the names of the other people in our group as we were the odd couple out while the others were on a company trip. LOL. Sorryyyyyy! Since we had a very tight trip schedule, I did manage to have small talk with some of them. Various pictures in the Ancient Cultural Street. We didn't go in through the front gate so there's no picture of it. Hehe. But the first thing we saw when entering was people selling antic merchandise on the floor of the streets. Among being sold were old coins, old postcards etc. The CEO's wife had a thing with ancient looking flutes and tried giving out a tune but to no success. Hehe. Haha. The seller said you have to practice more because no sound was coming out except the huffing and puffing of your breath. After the cultural street, we stopped by the NanShi food market. Since it was obviously non-Halal, we only stopped for a quick look only. Also sold here were souvenirs in the form of key-chains and such. Oh... and remember my post on the "boyfriend"? Some asked for a clearer picture of him.. hahaha. So here it goes! OK, please don't look at the picture too long. Might lose your eye sight. LOL. We had our lunch and prayed at the same place before heading to the airport. 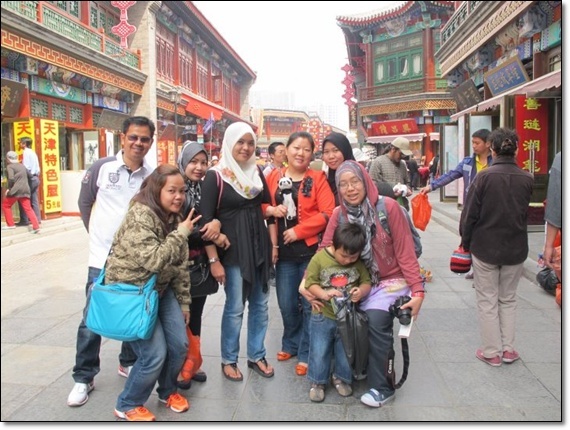 It was sad to leave China but overall I'm glad to have joined this Muslim tour. This is my first time in doing so and might do so again in the future to other destinations. Just need to find myself a travel partner. I guess this is my last post on Beijing Trip. Phewww... finally!!! Signing off, thank you for reading! @ef.ae.. hehe.. very historic looking. looked like Petaling Street also to me. Bit By the Travel Bug and Don't Wanna be Cured! Calling ALL Malaysian Travel Bloggers!